Save money on flight tickets to New Zealand. The start of your gap year/working holiday/backpacking trip to New Zealand starts with the flight. Because these islands in the South Pacific are so far away from anywhere, except these very few countries, you can guarantee that the flight is going to take a good chunk from your bank account – bad times. However, as budget travel know-it-alls here at BackpackerGuide.NZ, we are going to give you some top tips to book a cheap flight to New Zealand, so you can spend it on the more important stuff like jumping from planes instead. 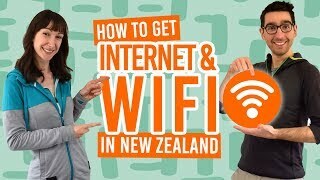 So, from the cheapest days to travel to the cheapest places to buy your plane ticket, here is a quick guide for getting “cheap as” plane tickets for your New Zealand adventure. Book 47 days before the date of the flight. If staying abroad for a few months, consider booking one way tickets. Book directly with the airlines. Be aware of extra fees, such as luggage allowance, meals, seat selection, etc. Consider taking two different airlines if your flight involves a stopover. Use private browsing to see cheaper air fares. The number one rule for how far in advance you should book your plane ticket is: don’t leave it until the last minute! The closer to the flight date that you leave it, the more likely the prices will have rocketed! However, according to too-complicated-to-comprehend algorithms devised by various airfare websites, the magic date for booking the cheapest international flight is 47 days before your flight date. (Or some like to say 6 weeks-2 months, but you get the idea). Additionally, booking a flight on a Tuesday is sometimes cheaper, as some airlines put prices up on a Wednesday. As for time of day, there’s little evidence for a “golden hour” to book your tickets. However, some have suggested midnight at your chosen airline’s local time when booking direct (for example, Air New Zealand that would be midnight New Zealand Standard Time), so give it a shot! But, for those that can’t wait until that special 47th day, you are still guaranteed to make some sort of saving on your flight ticket if you book 1-4 months in advance. Booking ridiculously early, however, won’t give you much of a saving. Tuesdays and Wednesdays are commonly known to be the cheapest days to fly on, due to the theory that everyone wants to fly on or for the weekend. Makes sense. Our advice is that the date you arrive in New Zealand on a working holiday should be pretty flexible – more like having a preferred period you would like to arrive in, not necessarily a preferred day. With that in mind, you can select the cheapest day out of the week or two that you have selected. After all, if you are going to be in New Zealand for a few months to a year, does it really matter what exact day you arrive on? A one way ticket is travelling in one direction with no flight back to where you started. A return ticket is a flight out to your destination and back again via the same or similar route. An open-return is a set flight date for getting to your destination, but the date to return is “open” allowing you to book your return flight you have paid for at a later date. Which type of plane ticket you choose depends on your own choices, such as flexibility and ease. 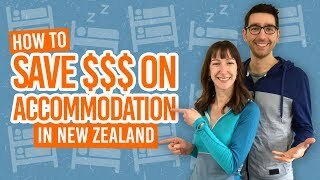 For a long-term stay in New Zealand, a one way ticket both to New Zealand and back again is likely to be the cheapest and most flexible. An open-ended plane ticket is by far the most expensive. For a full pro and con list for each plane ticket type, take a look at Flight to New Zealand: Return Vs. Open Return Vs. One Way. Here’s where you need to do a bit of research. First, start with the flight comparison websites which will hone in on the cheapest flight for you. They will also tell you what airlines the cheapest flight is with. Be sure to be flexible and compare multiple departure cities especially as this can save you hundreds! The more you search on website like Skyscanner, the better you will understand your route and the more chances you will have to find a great deal. With that information, then go straight onto the airline’s website and book directly with the airline. They will either match the price or the flight comparison websites or be cheaper! It’s one of the reasons why it’s best to try booking direct before using booking sites. If that isn’t displayed on their website, then give them a call to see if they will match. It’s worth a shot! To make your flight as comfortable and entertaining as possible, we’ve put together some more flight-related articles.